I had never heard of Yes before that, and was primarily going to see Humble Pie who had a popular sone at the time. I don't remember anything at all about Humble Pie's performance. What I remember was the amazing stage presence and sound of Yes, and especially the keyboardist with the long flowing hair and cape. Thinking they would be yet another band I would never hear from again, I didn't rush out and buy their album. But when Fragile came out, I did, and my musical tastes were reset forever. 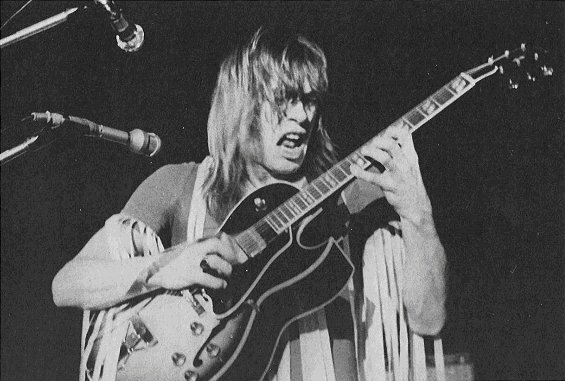 I went to see Yes again in 1994 in the Montreal Forum, 1995 in Indianapolis, and 1978 in the Hampton coliseum. Their recordings in 1991-1975 make that era by far the most exciting and amazing in rock history. I was 18. I had never heard of YES before. I had never heard music like that before. I was completely blown away. I remember being amazed at Rick Wakeman. His fingers moved so fast I couldn't believe it. I was probably less than 10 feet from him and could see everything. The very next day I went out and bought the Yes album and was frankly a little disappointed. I liked it, but it lacked the magic that I had heard the night before. It wasn't until Fragile came out several months later that I heard the full keyboard sound that I remembered from the concert. Tony Kaye is no Rick Wakeman. I've seen YES 30 or so times since and have been a confirmed YES fan-atic ever since. One of the larger audiences of the concert season witnessed a definite contrast when two English rock groups, Yes and Humble Pie, performed. Yes put on a fantastic concert. United in their vocal and instrumental performances, the group had no two songs that sounded alike. For a group just starting out on the road, Yes is pointed in the right direction. Unfortunately Humble Pie's instrumentation did not pick up until the end of the concert. The poor singing was suited to the obscenities the group seemed to enjoy screaming. Appearing Sunday night in the Plattsburgh Orpheum to a capacity crowd of 2,432 screaming rock fans appeared the world renowned. English smash hit rock groups, HUMBLE PIE and YES. At 9:00 YES came on stage, greeted by an exuberant burst of applause. Composed of a drummer, organist, base [sic] player, lead and rhythm guitarists, performed for a little over an hour. During the half hour intermission the crowds were entertained by cartoons and recorded songs. The warm-up which YES gave the audience was clearly evident as HUMBLE PIE took the stage. Making up the group are STeve Marriott, lead guitarist and vocalist, Peter Frampton, guitarist and vocalist, Greg Ridley, base [sic] guitarist, and Jerry Shirley on the drums. Marriott was quoted as saying "U.S. crowds liked what we ere doing, but what we were doing was wrong. We were sitting on stage with acoustic guitars, playing soft music. What we were doing in reality was kicking rock and roll in the teeth. You see each one of us had been successful with rock and roll, and we were turning our back on that success by playing acoustic." The final number was enjoyed by all as could be seen by the fact that the crowd gave the group a standing ovation. Through [sic] the concert the audience was orderly and there was little if no smoking in the gym. The Student Association hopes that this cooperation will continue at future concerts. 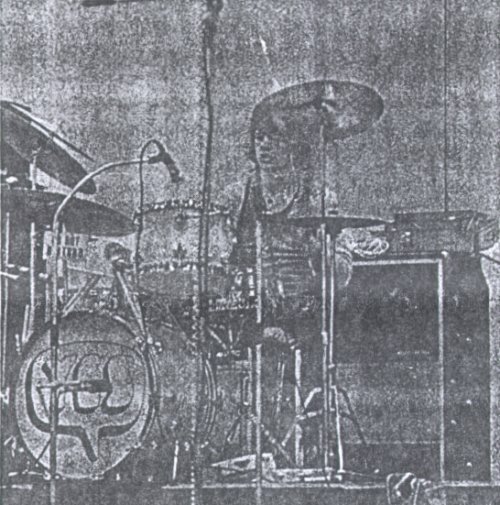 I saw Yes perform as the opening act for Humble Pie (or first half of double bill) at SUNY College at Plattsburgh NY, sometime in early 1972, probably February. Had never heard them before, so cannot remember what they played, but it was great.